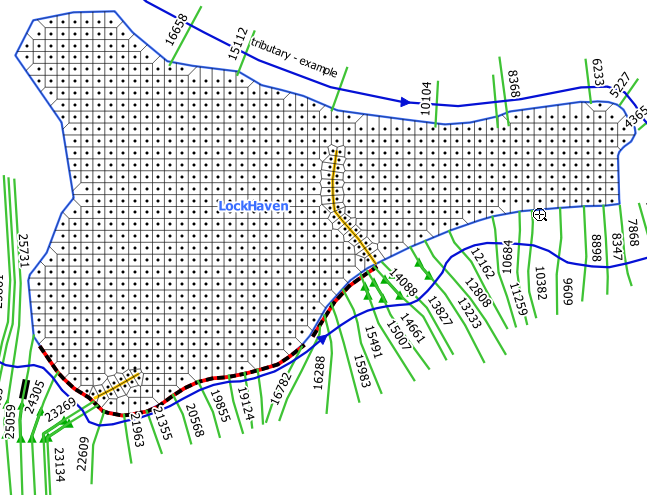 This manual presents creating HEC-RAS 2D Flow Areas in RiverGIS plugin. 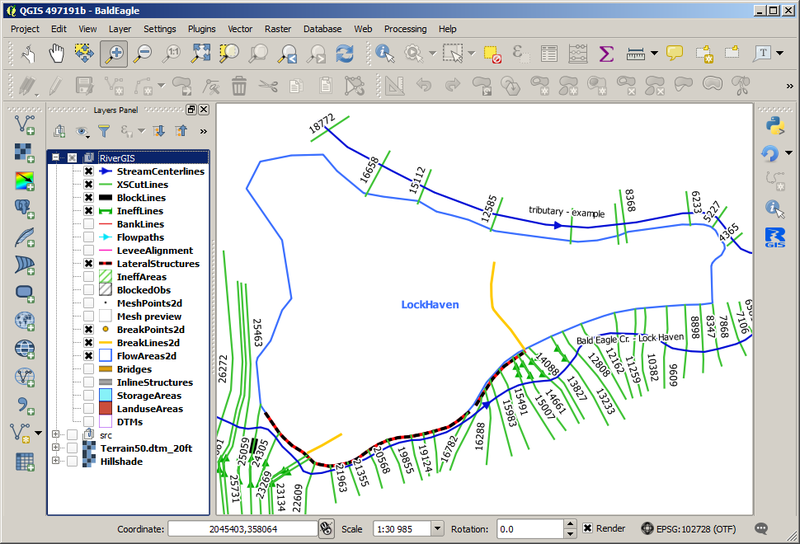 For 1D geometry and how to start working with RiverGIS, refer to previous section. 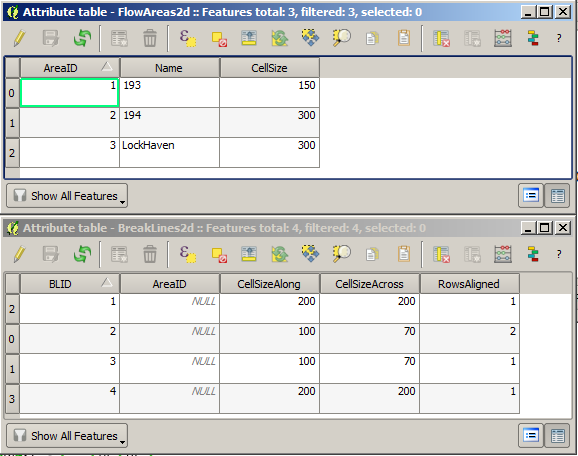 2D flow functionality is introduced in HEC-RAS version 5.0. Users are strongly encouraged to read the 2D Modeling with HEC-RAS 5.0. Also The RAS Solution Blog is a great source of information about new HEC-RAS releases and 2D modeling. CellSize — a default mesh cell size for a flow area. 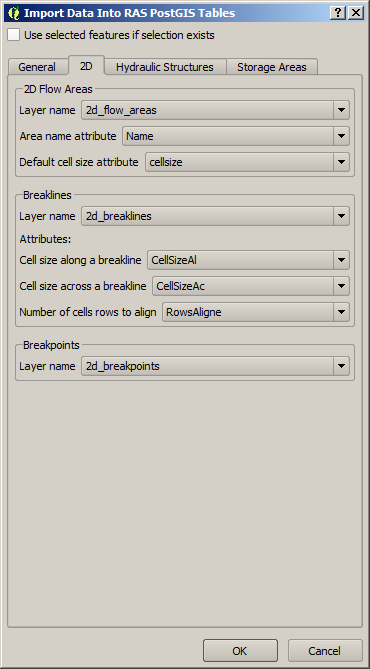 BreakPoints2D (optional) — a point layer for creating a cell face at exact locations along the breaklines (optional). No attributes required. DTM (required) — a digital terrain raster layers set. All the target tables should be automatically added to the map canvas after the import. If they are not, use the tool to load all river database tables into QGIS project. First, run all the 1D tools to build the base model for 2D flow areas. Next, check the user defined attributes of the FlowAreas2D and BreakLines2D layers using their attributes table, as shown below. Creates computational points for each 2D flow area. The breakpoints are especially useful when modeling groins, as shown below. 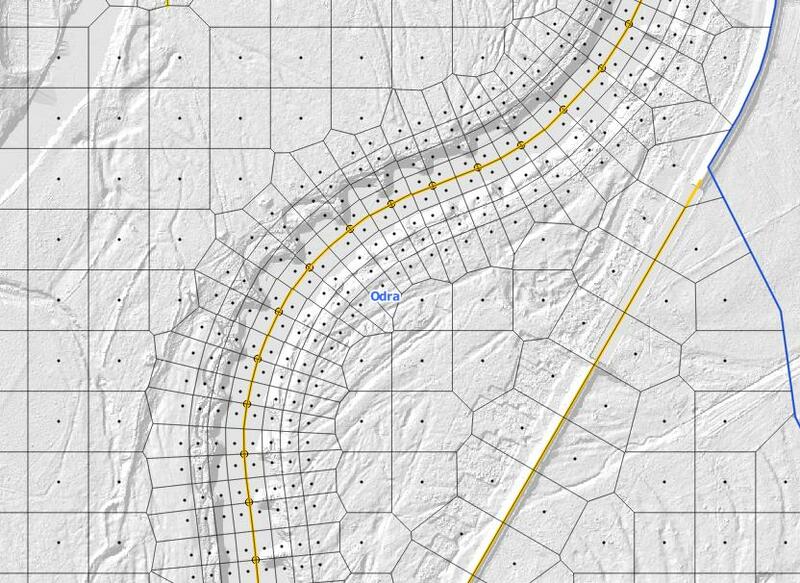 Creates a preview of 2D mesh with QGIS Processing algorithm (Voronoi polygons). Saves the mesh points to a chosen HEC-RAS Geometry file (*.g**). If the chosen file is an existing geometry, the 2D flow areas will be added to it. If the file doesn’t exist, a new empty geometry will be created. 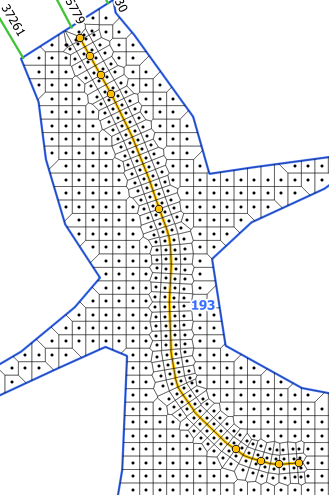 There is no documentation for 2D Flow Areas in HEC-RAS GIS Import file format (SDF). Therefore, the mesh points are written to a geometry file. Please, close the geometry file before writing to it.